Super Sonica PVC 1/7 Figurine. Standing (or is that sitting?) at 21.50 x 18.50 x 15.50 cm / 8.46 x 7.28 x 6.1 inches the figure is an ideal size for displaying on a desk or bookshelf without taking up too much room. The 1/7 scale allows for a good level of detail, particularly in the characters outfit which, despite being PVC, visually reads as cloth material convincingly. "The 1/7 scale allows for a good level of detail." The plastic base plate is a nice touch and gives the figure context wherever you choose to display it. Overall I'm very happy with my purchase. A great item for any Anime fan regardless of whether they know the specific character or not as the face is fairly classic Anime style. Great value. 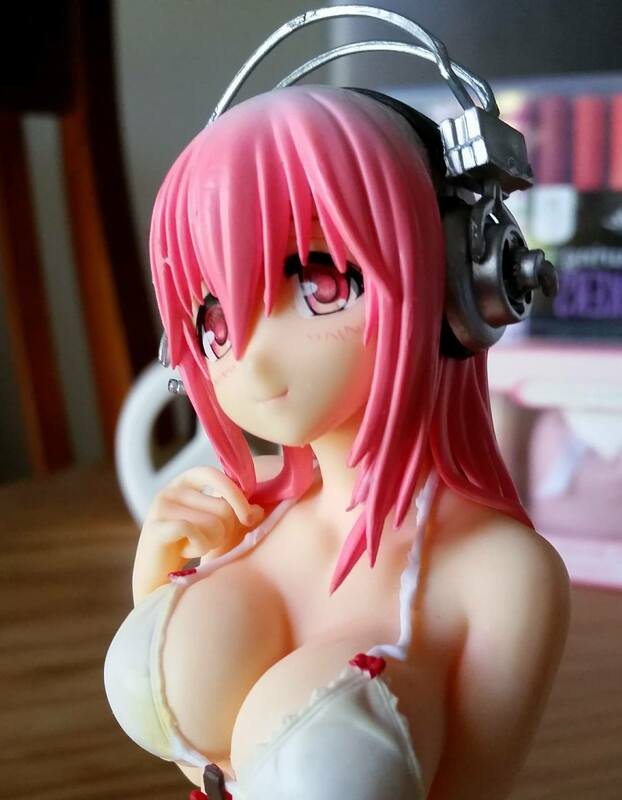 The Super Sonico Figurine is available now from GearBest. Support this site by clicking the affiliate links in this article before making your purchase.